- Ladies, mens and childrens style cuts - Grey coverage, natural colouring techniques, specialised colouring techniques - Formal upstyling - Eyebrow shaping and tinting - Keune colours and Redken retail - Affordable, friendly service With 15 years of experience, and part owner and hair stylist for Crazy Beautiful, I am fully qualified in all aspects of hairdressing, including cutting, colouring and styling. As well as being a hairdresser, I am a qualified waxing technician and also love eyebrow shaping so I am pleased to also offer facial waxing and brow tinting. If you have long hair and are afraid to go to the hairdresser because &quot;they always cut too much off&quot; then I am the hairdresser for you! Having long hair myself, I know how precious your lenght can be to you. If you ask me to trim 1 cm off, 1 cm it will be! If you have short hair (including men) and love texture, I use many different texturising techniques to give your hair all the texture it needs! I will also create a shape which will suit your face shape and grow out nicely as well. For the children...we know they wont always sit still and as a result, I have cut childrens hair while following them around the salon, through the toy box and even while they have had a nap to ensure there are no tears when it's time to get their hair cut, and they look gorgeous at the end! With Mickey and Minnie, and Spiderman capes it adds excitment to the whole experience. School formal or graduation coming up? 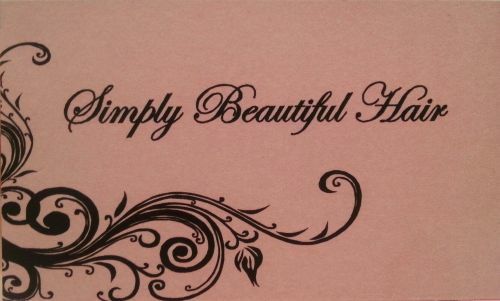 As part owner of Crazy Beautiful which specialize in wedding hair and makeup, I have done hundreds of upstyles during my career. So if you would like to have your hair styled for your special event you can feel confident that you will get the style you are wanting and it will hold in place all night. Group discount applies if you bring 2 or more friends! If you have any questions please email, phone or message me and I will be more than happy to help!